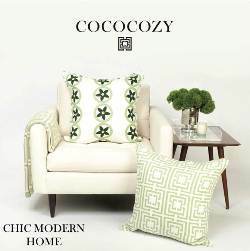 The Collected Interior: Frugalicious Friday & a Giveaway! Frugalicious Friday & a Giveaway! 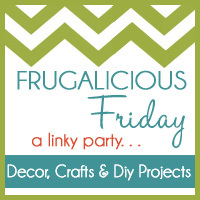 Welcome to the 11th edition of Frugalicious Friday! Today's a big day because we've got a giveaway...wahoo! This day is all about sharing your fabulous, thriftiest, most frugalicious home decor Finds! And if you revamped or renewed your find in a fab Diy project, tell us about that too...we can always used a little extra Diy inspiration! 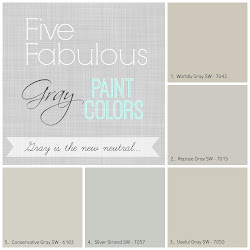 Are you new to Finding Fabulous? Here are the guidelines for this fun day that's all about $aving! Well I am super excited because Christy from Embellished Bayou is kindly offering up one of these 3 bee-autiful hand painted wooden ornaments to one lucky winner, and the winner gets to choose...how cool is that! 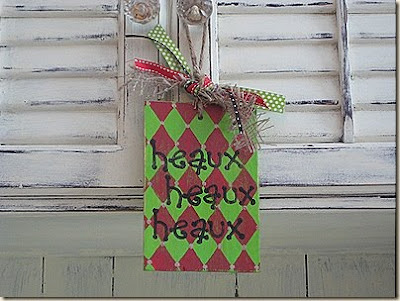 I just adore Christy's blog Embellished Bayou...she has got to be one of the craftiest blogger's I know. In fact, I'd say she's totally craftalicious! 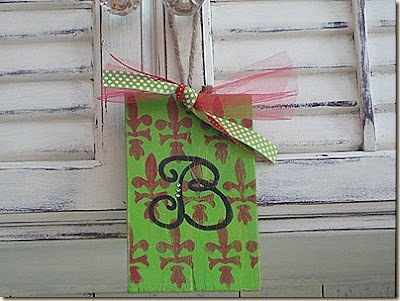 ;) How cute are these hand painted wooden ornaments? Okay, my frugalicious finds came from a simple trip to the Dollar Store! Ya know, decorating for the Holidays isn't cheap. 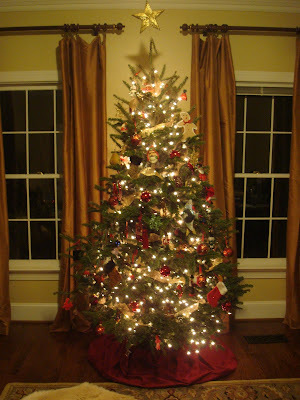 In fact, after you buy the outdoor decorations, wreaths, garland, and lights, not to mention the tree and presents...you can easily spend a small fortune. So every year, I make a trip to the Dollar Store in search of fun decorations, that won't break the bank! 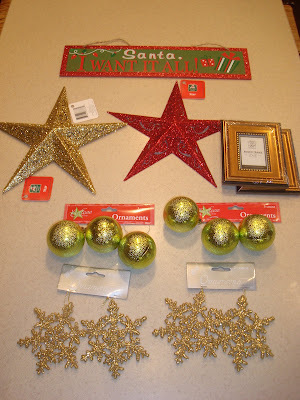 Here's what I found for just under $10: a fun Holiday sign, sparkly stars, faux glass ball ornaments, even snowflake ornaments, all for just $1 each...love that! So armed with my Dollar store finds I set out to spice up some of my existing Holiday decorations. 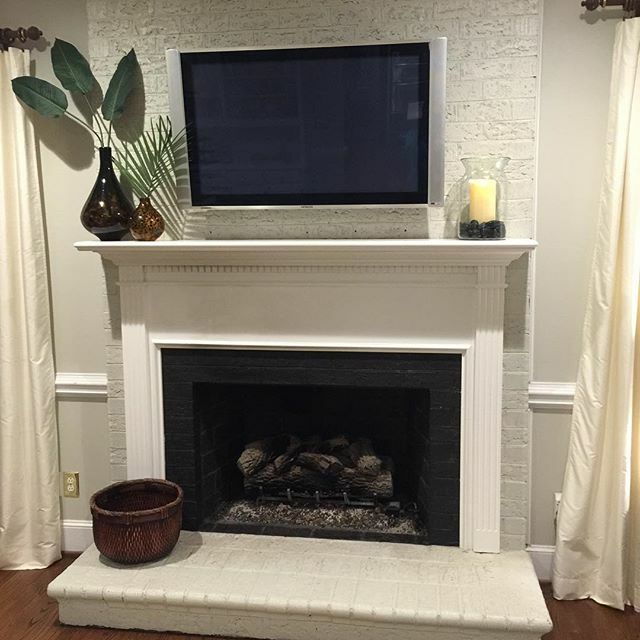 First things first, the mantle. These apple green ornaments, and gold sparkly stars are just what my tired mantle needed for a little extra Holiday bling! Oh and the flat screened TV...I just pretended it wasn't even there. Maybe next year I'll cover it in wrapping paper. Hmmm...somehow I don't think the hubby will go for that! 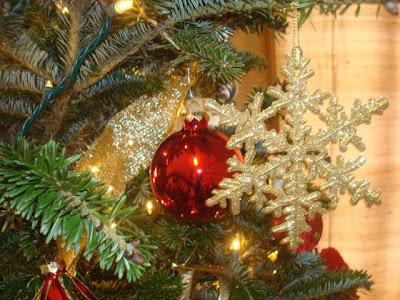 Our Christmas tree has a gold and red color scheme, so these gold sparkly snowflakes are perfect! 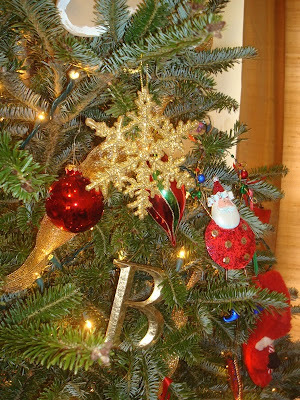 I've seen similar ornaments from Pottery Barn for over $10 each...yikes! I thought this sign that reads "Santa, I want it all!" 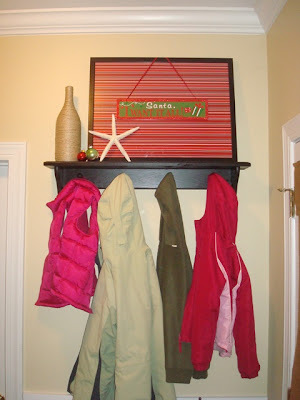 would look great on my new shelf in our mudroom. I also put Holiday wrapping paper in this frame that usually holds a vintage map. 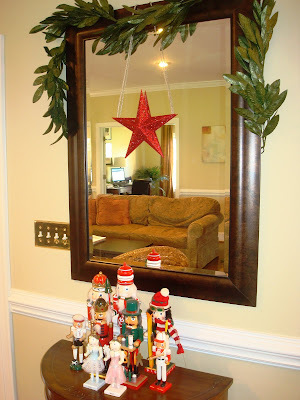 Yup, I'm the crazy girl who decorates her mudroom with Christmas decorations! And finally this red sparkly star found a home above our nutcracker collection. I hot glued natural twine rope and hung it directly on the mirror. So link up...and give us the scoop on how you $ave! 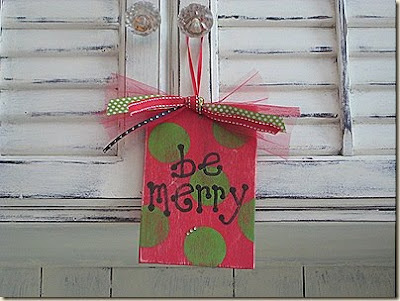 Great idea to put that little dollar store sign in a bigger frame with wrapping paper behind!! Going to check out the rules to see if i can play. beautiful!! I was just in there tonight (and last night), hit the jackpot in one, lost big time tonight... onto another one in the morning! The stars are beautiful! How did you get them to stand up? Hi Kate, why I just leaned them up against that darn TV! 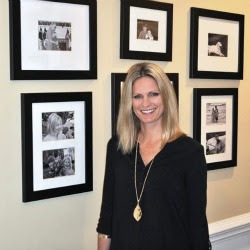 Thanks for stoppin by, I hope you'll link up your fab finds! Looks like you found the perfect extra sparkly touch, love all the glitter! Thanks for hosting my giveaway, I hope you get lots of entries this week! 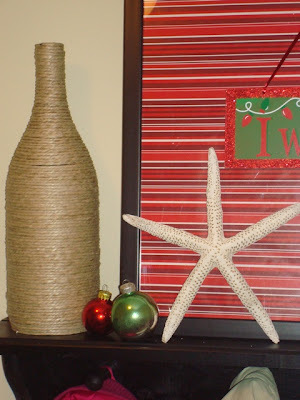 Love your decorations - especially the twine bottle! Way to work the dollar store, Jane! I got a couple of those stars, too. I love your mantel with those topiaries on each end ~ beautiful! Your house really looks beautiful for the holidays. Love the dollar store finds! I linked up this morning for the party and messed something up the first time (blogger saying the page doesn't exist)...so I linked up again and it worked OK. Don't know if you can remove the first link up or not....sorry about the confusion. Fabulous tree you have..., and nice touches everywhere. Always love when I see a starfish in the mix! 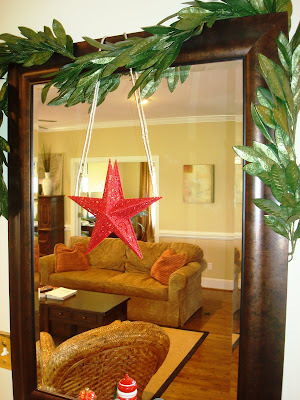 Your decorations look fabulous and I don't think it crazy at all to decorate a mud room :). 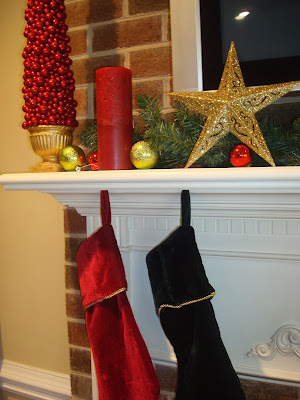 I have also found some fab finds at Dollar Tree this year! 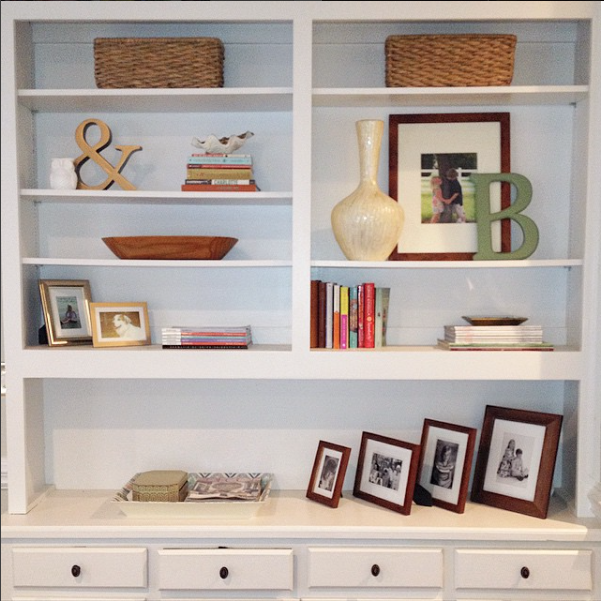 Your house looks great and something about those two little ornaments just sitting on your mudroom shelf just looks so cute! I love those stars!!! I hope you got them at Dollar Tree (Its the only dollar store here... I'm wishing to find some on the cheap! )Your house is so cheery! 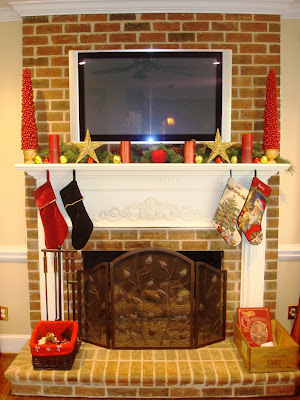 Great job on the mantle!